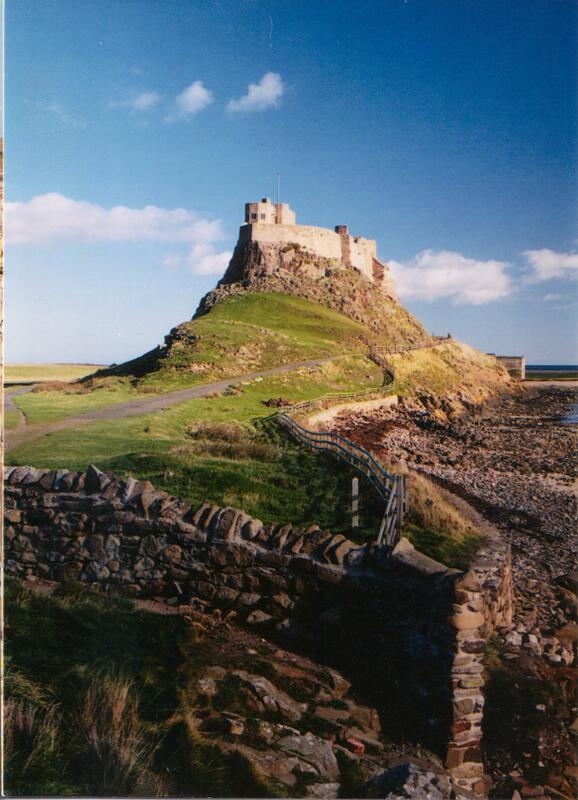 The holy island of Lindisfarne in upper west corner of England is destination that will feed the pilgrim’s soul. No one knows how it got its name and the history of this little two by three mile tidal island occupying about 1000 acres is a mystery prior to the seventh century. It’s more common name,”Holy Island” derived from its association with monastic communities – the Irish monks from Iona who settled on the island around 634, and later the Benedictines who built an abbey in the eleventh century. One visit to Lindisfarne imprints that island experience of truth, love and acceptance so deeply on a person that she can return in her imagination again and again repeating that “first visit” experience. In the early seventh century, King Oswald who had been converted to Christianity by the Irish monks at Iona, requested that the monks send a missionary to convert the communities in the eastern part of his kingdom. Iona sent a man named Corman to convert the east, but he returned a failure blaming the unruly, unreasonable, stubborn and spiteful people he met there who would not let go of their pagan ways and see the light of the one true religion. What a role model for in these days of self-righteousness and judgement. Aiden was given the task to do what his failed brother could not. He went to Lindisfarne and began a monastic community that flourished and became one of the greatest seats of Celtic Christianity in Britain. During high tide the causeway is covered and impassable. Many a driver has lost his vehicle when trying to beat the tide and make the 1/2 mile crossing after the posted “safe crossing” times. There are places stranded travelers, caught in the tide to climb to safety and it wait out the six hour tide shift. Loss of life is uncommon. But loss of vehicles – “more common than you think” one islander told me. In the high season it’s about one a month. 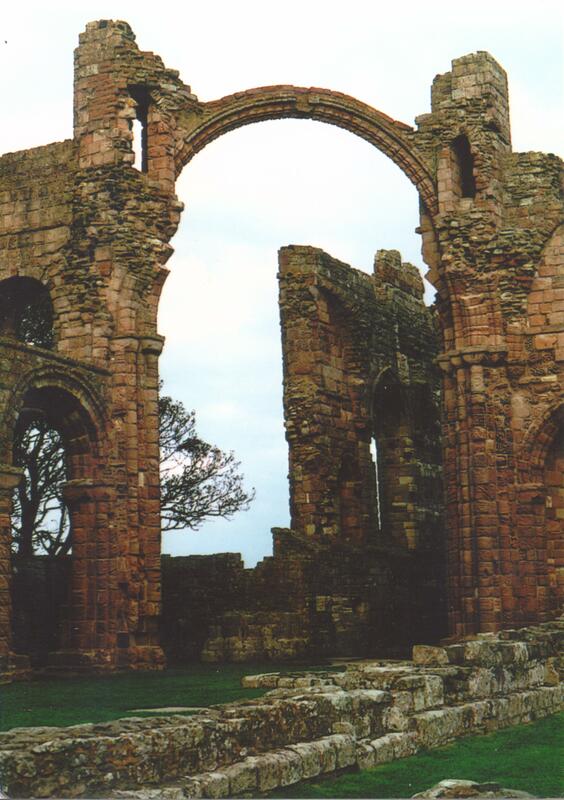 My first visit to Lindisfarne was in 1997 when I scheduled an interview there with author (and mystic) David Adam who lived on the island and served as Rector. This was a time long before the common use of cellphones. I was driving in from Wales and had miscalculated my drive time by six hours (another story for another post — Geez!). I had never been to this far north in England. I had no concept of the landscape – how big or small the island was – how long the crossing was. I had read about people who had been washed away because they didn’t adhere to the posted crossing times. I arrived at the Lindisfarne causeway at 2 am – alone in my rental car. It was raining and completely dark. I directed my headlights onto the posted safe crossing times and carefully verified that I was within the safe time zone. I considered sleeping in my car at the crossing until daylight, but at 6am the causeway would be covered by the North Sea and not passable again until the early afternoon. That would make me too late. I had to either cross or abandon Lindisfarne and David Adam. I went for it, praying every second. I couldn’t see anything more than 30 feet ahead of my car. The causeway was dotted with tufts of seaweed and debris from the Sea. I kept trying to imagine how I’d survive if the worst happened considering the local world was asleep, not one soul knew where I was. It was a very long ten minutes creeping along that causeway imagining that any moment I might see water over the causeways and have to back up in the dark along a barely visible road. At the halfway point I saw the elevated refuges where those who crossed too late could climb to safety. Of course, if I was overcome by the tide more than 5 car lengths from that refuge, I’d never find it that darkness. I made it safely across the causeway that night in 1997. I arrived to an island that was sound asleep. No light, no activity and I didn’t dare awaken the owners of the B&B where I had secured a reservation. I pulled my car into the public parking lot that faced the North Sea and I fell asleep. I woke up in that magical world and watched the rising sun beam down on Lindisfarne Castle. I walked through the monastery ruins in that rare light and realized there were so many details to take in; the green of the wild North Sea being whipped into foam by a relentless wind; the birds – God, the birds – so many birds; the smoothness of the rounded stones that line the shoreline – their colors – grey, brown, beige, white and deep red – the same colors of the stones that built the monastery and the castle. Lindisfarne is a place of resurrection; a place where the soul is set free; a place that draws you to it; a place of possibility and mystery; a place where the eternal world is knitted tightly into the present world. It’s a struggle for a writer to capture the essence, the peace of Lindisfarne. I love David Adam’s description in his Introduction to Flame in My Heart: St. Aidan for Today. When I was a boy, whenever we traveled north on the A1 road or by rail into Scotland, my father would point out a fairy-tale-like castle rising out of the sea and say, “That’s the Holy island of Lindisfarne.” This became a ritual as we passed by … I would look at the long strip of land stretching out in the sea and wondered if it belonged to the same world as I did; sometimes it seemed very near and at other times far away. I hoped to go there one day. I never dreamed that one day I would live there. Spend the night. Both times I visited Lindisfarne I was able to see the sunrise and spend time alone. Don’t miss that opportunity. Don’t be one of the tourists that comes in by motor coach and spends one tide doing the shops, the pub, the castle and monastery grounds frantically snapping pictures, talking to NO ONE. That would be like going to the Garden of Eden just to see the tree that produced the fated apple. Main attraction? Yes. But you MISS the garden. Visit the monastic ruins. The ruins of the eleventh century monastery built by the Benedictines is remarkable, perfect for reflection, photographs and noticing details. Visit the Castle. When I was there, the castle was closed. It’s now open to the public at various hours coinciding with the tides. There is wonderful history there as well as a restored garden that was designed by Gertrude Jekyll in 1911. Talk to the locals. There are about 800 people that live on the island and they love to talk about their special home. Steer clear of the superficial tourist questions that are somewhat insulting like “How can you stand being separated from civilization?” “Where do you buy your food?” “Have you ALWAYS lived here?” Ask them what three things they think every visitor should see. Ask them to describe what makes Holy Island a perfect home. Ask them what they miss most about Holy Island when they’re away. These questions will spark conversation that will help you connect with the soul of the landscape. There’s nothing that opens the door to a thin place like a local speaking from the heart. Find a stone. There are stones everywhere, and stones hold the memories and the energy of a place. Picture a special stone that was formed just for you in your mind. Then look around. There it will be. It’s a cheap memento, but what a gift to have on your desk or your dresser – a piece of the earth that holds the memories of Lindisfarne. Don’t be greedy. You don’t deserve more than one. On first trip to Lindisfarne, Geoff Porter who owns the Bungalow Guest House with his wife Maureen gave me a little tour around the island. The shoreline is covered with smooth colored stones. I chose one that was red. When I turned it over it had a perfectly formed cross covering the underside. I still keep that stone on my window in my office and look at it most every day. It reminds me of Holy Island, of Geoff and all the good people there. It’s a constant reminder of thin places that stay with you.